Best time to visit Valley of Flowers, Uttrakhand. Valley of Flowers is snow clad for most of the year and it becomes accessible only in the month of June. Officially Valley of Flowers opens First June every year. Valley of Flowers is always beautiful. It depends upon your taste that what you would like to see. This is the time when snow starts melting rapidly and small plants starts growing and glaciers keeps on melting. By the end of June the Valley of Flowers is reaching towards its youth and starts changing its color from white to green with new flowers keep on coming on daily basis. Beautiful Glacier seen in June Month. Beautiful Glacier seen in June Month. Please note the beautiful Rhododendron flowers on right side of trek. This is the time when Valley of Flowers is in full bloom and will be in full bloom till August end. You will find lots of greenery and flowers everywhere in the Valley of Flowers. If you are fond of watching glaciers you should go in earlier weeks of July(Latest by 15th July). 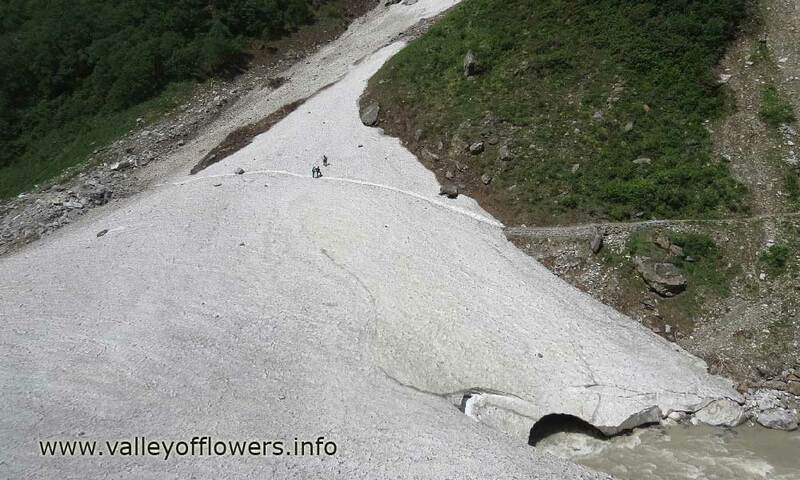 Please watch our pictures of glaciers taken in Valley of Flowers. Most of these pictures are taken in the first and second week of July. Valley of Flowers as seen in Mid July. The pink shade on the river bed is Epilobium Latifolium. This flower looks very beautiful and is found on river banks. You can see our gallery on deeper parts of Valley of Flowers to see more very beautiful pictures of Deeper parts of Valley of Flowers. Following in one of the picture of our deeper parts gallery on Valley of Flowers . You can have a look on the gallery to see more such pictures. Epilobium Latifolium deep inside the Valley of Flowers. You can see these flowers till August end. With the passage of time different type of flowers keeps coming and going as per their turn. After a good experience you can find the exact flowering time for each type of flower. There are some flowers which bloom only for a week or so. For example you will find Ladies Slipper Orchid flower mainly in first week of July. You will find maximum number of flowers till mid August and slowly number of flowers will reduce and the plants start maturing and die but not before dropping their valuable seeds for the next year. The color of the valley starts turning from Greenish to yellowish peach. Please watch the picture below of August last week. If you come during this time you will find Valley of Flowers as well as Hemkund Sahib both in full bloom. You can see lots of Brahama Kamal flowers as Hemkund Sahib. 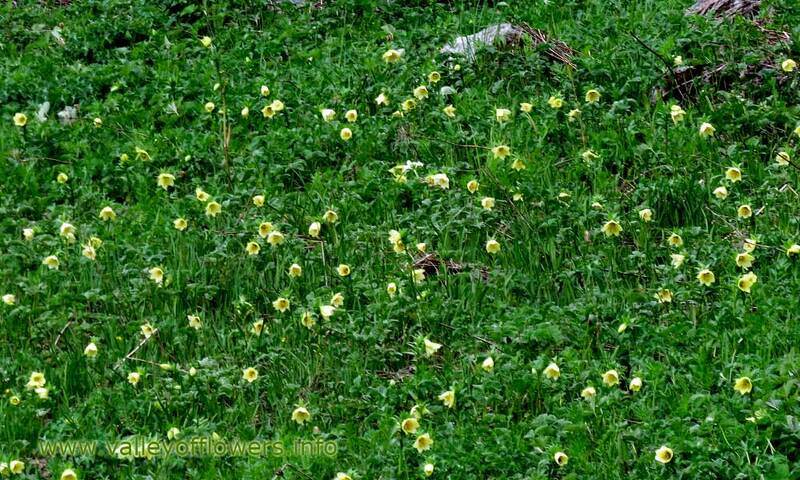 As time passes the plants in Valley of Flowers get mature and you can see lesser number of flowers are visible. Leaves of the plants starts turning color to yellowish green/peach. This picture was taken in August End. This is the last month when you have an access to Valley of Flowers. The number of flowers reduced, but the color of the valley will change in a dramatic way as you can see in the picture below. Soon there will be snow fall and the plants and seeds will be buried deep under the snow. The seeds will again germinate in next year and the cycle will continue. As rainy season gets over by the end of August so the valley is accessible through out without disruption. Officially the Valley of Flowers will close on September 30th. Valley of Flowers as seen in September. Valley of Flowers is turing yellowish in color and you will find more of berries then flowers. Snowfall starts in October and the valley is closed officially for general public. Valley of Flower is snow clad in May. At this time snow starts melting and the seeds of the last year’s plants starts germinating and by July all the flowers will be at full bloom in Valley of Flowers. No Valley of Flowers is closed now it will be open in June 2019. Do you have a package in September? Yes we have, A detailed itinerary has been sent to you please go through it or you can call us on 9991242759. How about December end? Is it good time to visit? 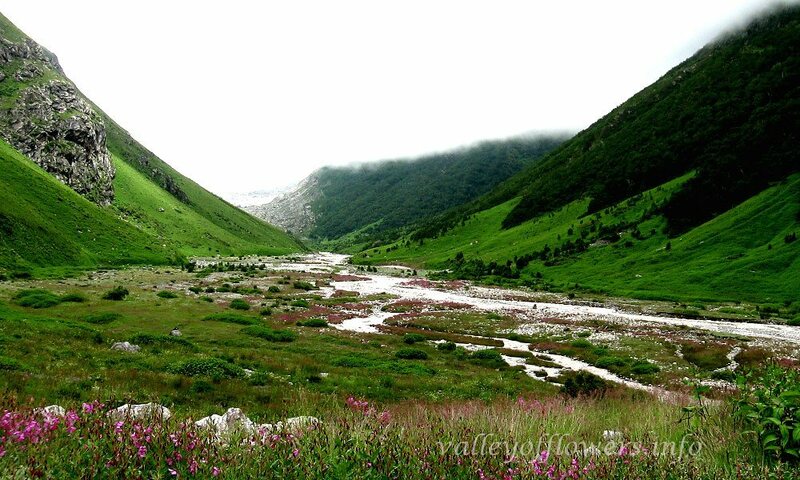 The Valley of Flowers is open from June first week onwards till September end. For more information you can call us on 9991242759.
we are planning to visit on 2nd week of June 2018. we are 5 persons of age group of 35-40 all male. I want to visit Valley of Flowers on Mid July 2018.please send me the Itinerary,Iam 58 years old.with mild heart problem. i want to go mid october,2018,after durga puja,it is correct time to go? The Valley of Flowers will be open from June on-wards till September end. You can call us on 9991242759 for more information. kindly message me full details with itinerary including cost per head and facilities included for valley flowers trek and also send details with itinerary, permission and cost per head if you are conducting Satopanth trek for a maximum of 5 days. Hello, I’m planning to visit here in July. Ca you please share the itinerary for 3 people? We will be going from Delhi. Hello, Thanks for sharing the info bro, I am planning to visit Valley of Flowers in end of July. Please send itinerary and any suggestions for bikers also will there be landslides? I would love to have an itinerary for coming August. Could u pl. help? Please share the detailed itinerary of Valley of Flowers. I am planning to visit this place in july, can u send me the travel detail, i belong to gujarat. Sir, please send me the complete itinerary with costs separately both for trek and helicopter. We are 3 members and are planning to visit Valley of Flowers after visiting Badrinath during 1st week of June. The detailed itinerary is sent to you, Cost for helicopter ride is approx Rs. 3200 per person one side. please send me complete itinerary with costs. we are planning to visit Valley of Flowers after visiting Badrinath during 1st week of June 2018. Kindly guide us. we are 3 members. Pls send me separate itinerary both by trek and helicopter. Very nice website! Lots of info! Please send me a detailed itinerary with costs. I will be leaving from Delhi. So, please specify the assembly point and the day to day program, including places to stay. Thank you! A detailed itineray sent to you, please check and reply. A detailed itinerary as been sent to you. Kindly go through it and revert. All though this blog is about valley of Flowers – which I understood best time to go in July or Sept .. can u pls. suggest some other moderate trek route for two of us near by Chopta ? we are 48 yrs old .. and travel freak ..
duration planned : 6 days ..
We only organize trip for Valley of Flowers. Please inform us if you interested for Valley of Flowers. Sir, is it open in april? If not what are the other treks we can do in april? Please tell us your group size, As Valley of Flowers is closed in April.A detailed itinerary has been sent to you, kindly check and revert. You can trek for Kuari pass. You can come with us for Auli and Kuaripass trip. Could you please mail me the itinerary? I want to join this trip with my family. Please share with me detailed itinerary? Distance to walk, 9 year kids can manage to walk, difficulty level etc.. I want to trek solo in June, 2018. Can you please send me the cost and itinerary. Please send me the detailed itenary along with costs. A detailed itinerary has been sent to you including cost. kindly go through it and revert. Is it possible to visit this place and Hemkund Sahib during the month of Feb 2018? Valley is closed in the month of February. Valley opens in June and closes in the end of September. A detailed itinerary has been sent to you. Please go through it and revert. me & my friends want to visit this vally and nearby places. we r 6 persons..pl.tell me that can 8 days r sufficiant for this tour.. Thanks for contacting us for a trip to Valley of Flowers, A detailed itinerary has been sent to you, please feel free to contact us any time. You are eligible for the group discount as well. Is it a group trek? Want to travel solo in the month of July. COuld you please sent me the cost and itinerary. A detailed itinerary has been sent to you, please check and revert. You can join our groups even if you are solo. A detailed itinerary including cost has been sent to you. Please check and revert. What are the packages for trek to Valley of Flowers? I am a single trekker and needs to be accommodate d in a group. Is this possible? Yes we can accommodate you in a group. is it suitable for Honeymoon in december ? I am planning a start my trip from 12th August. I will be accompanied by my wife, 7 month old son (5 months old now) and our domestic help (62 years). Please help me planning my trip. My son and domestic help will stay at hotel while we trek. We dont recommend you to bring your seven month old son. Will it be sutable to visit valley with my 5 minths pregnent wife. Is acces to the place is easy or tough. I am planning to visit Valley of Flowers on 12th August, 2017 from Delhi. Kindly send me a detailed itinerary. Time period will be 12 to 15 August 2017. Can not be completed in three days sir. It should be safe, til date no causalities as per our information in monsoon. All people visiting Valley of Flowers in monsoon went back safely. Weare planning to visit Valley of Flowers on 10/08 and 11/08 after finishing our chardham yatra.Please send us the itinerary for two days tour to Valley of Flowers and the recommended hotels at Ghangra. Please call us on 9991142759 for more info. V r planning to go by last week of August.pl forward good suggestion. I am planning to visit Valley of Flowers this year and want to understand how safe it is going to be if i go in the month of aug. specially Uttrakhand is dangerous in the rains. Pls help me with your itinerary in aug.
A detailed itinerary has been sent to you. Please dont worry about safety, it is safe to travel to Valley of Flowers in August. Its mailed to you sir. Is dec Jan are open ? Which time is the best to see flowers ? Please read this page for your answer. It is closed in Dec Jan, Valley of Flowers opens only for 4 months in a year from June to September. plan to go Vof flowers we r sinior citizen.quit fit.want to go by tracking.how ia road?how much time takes to cover the journey? The road is very nice. Please check Senior Citizens in Valley of Flowers and Best Time to Visit Valley of Flowers. A detailed itinerary has been sent to you. I am planning to do this trek alone. is it possible to do trek alone? and also do i need to carry my own tent or staying available on the way ? please let me know. Yes, it is possible to do the trek alone. You don’t need to carry tents, rooms are available. hello i am visiting Badrinath on 24th May’17. is this possible to visit vally of flowers after that on 25th-27th? please let me know so that i can plan my visit. 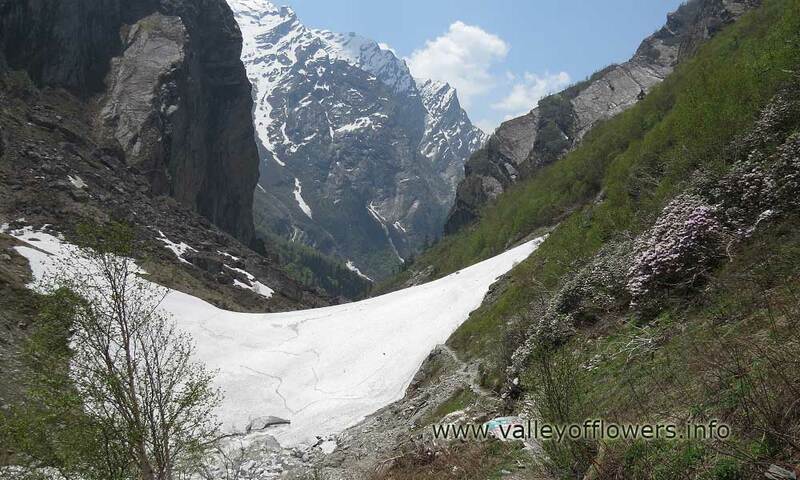 The Valley of Flowers is closed in May. It will open on 1st June. You can do it as Valley of Flowers will open on 1st June. A separate mail is being sent to you. I want to visit Valley of Flowers june around 22. Pleasee give me appropirate time to visit as i wantbyo see its beauty with all type of flowers and also let me know how many days it will take. M plannibg to visit with my wife. The detailed itinerary being sent to you. Kindly have a look. Your queries being answered via mail as well. The detailed itinerary being mailed to you. Kindly have a look. Hello, I am planning to visit Valley of Flowers with my friends in May last 2017. Kindly provide me with the itinerary and other details.And we are planning for 5 days. Will it work? 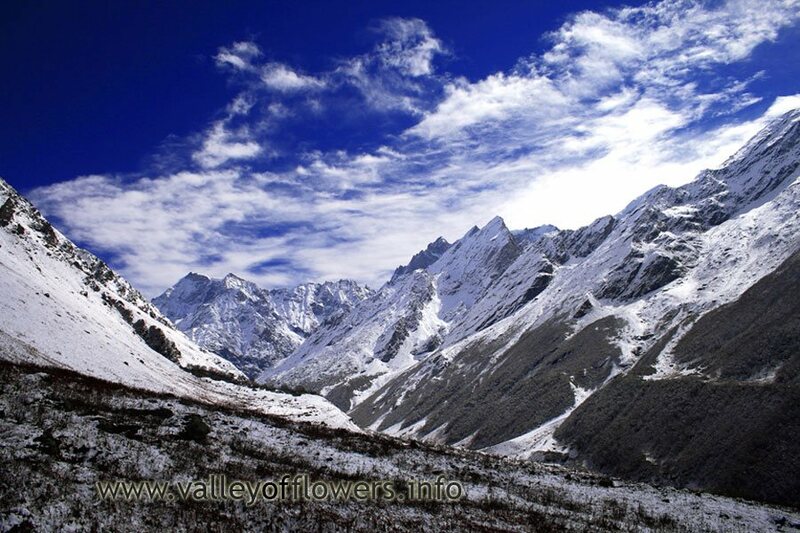 Valley of Flowers will open in June. Our departures are also starting from June. The itinerary for the same has been sent to you. Kindly check. We have sent you the detailed itinerary for July. There will be maximum flowers in July and August. why it remains close in winters?? Because it remains snow clad Sir. There will be no flowering at all. Also its not possible to trek at that time. We have sent you the detailed itinerary for June. You can join the trek if interested. You can surely take your mother along with you. Every year many senior citizens come to the trip. She will definitely enjoy the trek. Keep in mind that she shouldn’t suffer from any major disease. The detailed itinerary has been sent to you along with other information. Kindly check with your mail. The detailed itinerary and answer to your query has been mailed to you. Kindly check. hello, I am planning to visit Valley of Flowers with my friends in July last 2017. Kindly provide me itinerary and other details. We have sent you the required details via mail. Kindly have a look. The detailed itinerary for June has been sent to you. Valley gets open in last week of May only. It remains covered with snow some days afterward. Snow takes time to melt and flowering also starts after snow gets vanish.n Thus our departure starts from June. Revert with your response via mail. I am planning to visit Valley of Flowers with my family in July 2017. Kindly provide me itinerary and other details. The detailed itinerary been sent to you. Kindly check with your mail. I am planning to visit Valley of Flowers w in June 2017. Kindly provide me itinerary and other details. I am planning to visit Valley of Flowers coming August on a solo trek. Kindly inform me about the details please. The detailed itinerary of the trip has been sent to you. Kindly check with the mail. Contact us in case of further information. I am planning to visit Valley of Flowers with my family in June 2017. Kindly provide me itinerary and other details. I would like to inform you that Valley of Flowers opens from 1st June to the initial week of October(by latest). Thus you cannot visit during January. Itinerary has been sent you. You can now plan accordingly. Contact us for further information and details. Is it good to visit Valley of Flowers in December/January? I would like to inform you that Valley of Flowers doesn’t open in December and January. It will be open from 1st June to the initial week of October (by latest). Thus you can plan according to this. The detailed itinerary has been sent to you. we’re a group of four boys and would like to cover the Valley of Flowers and auli with the areas nearby. we’d be coming from delhi but don’t have many days at hand. can you please suggest what best can be covered in 4-5 days from delhi. Appreciate the help you’re extending to us travellers! Thank you. I am planning to visit Valley of flower in fiRST week of September. Tell me about cost and time duration. The detailed itinerary for this year has been sent. Kindly check. This year itinerary has been sent to you. Kindly check with your mail. Contact if you are interested his year. am planning to visit Valley of Flowers in August ’16 3 to 4 adults. Please share the trecking itanery and thnigs to carry for trecking. Please also let me know whether it is safe to trek in this weather of monsoon. This year itinerary has been sent to you. Kindly check with your mail. Contact if interested this year. I am planning to visit Valley of Flowers in August ’16 3 to 4 adults. Please share the trecking itanery and thnigs to carry for trecking. Travel dates are this or next weekend plus minus a few days after those. I would also like to know how safe is it to go for the trek from the perspective of this being the monsoon season. Considering the weather conditions in uttarakhand is it advisable to go to Valley of Flowers trek in coming week, I mean weekend. Is it safe? Not getting any information regarding this. Could you please suggest. This year’s itinerary has been sent to you. Kindly check with your mail. If you haven’t visited last year, you can join this year. I am planning to go Valley of Flowers, hemkund sahib, and badrinath from aug 12 to 20. Since weather of uttrakhand is not good. Will it be advisable to visit these places. This year’s itineraray has been sent to you. Kindly check with your mail. Contact surely if interested going this year. We are planning to visit Valley of Flowers this week (august 6th), will it safe to visit there? Can you please share me detailed report on this. Also please send an itinerary for the same. how many days and cost as well. This year’s itinerary has been sent to you. Kindly check with mails. This year’s itinerary has been sent to you Sir. You can check with your mail. I’m planning a short solo trip to Valley of Flowers in mid August, can you please send me all the details , like what all I need to carry while trekking n how many days it’s gonna take , and how safe it is .. I am planning to visit Valley of Flowers in August ’16 two adults. A detailed itinerary along with all other information is already sent you you. Kindly check. i am planning to go to the Valley of Flowers, hemkund sahib, rudraprayag & auli in the last week of august . can u please send an itinerary for the same. how many days and cost as well. We have sent you a detailed itinerary along with all information. Please check. I suffer from backache and some mild knee pain. I am 48 year old woman. Is it adviseable to go to Valley of Flowers? Can asthmatic person visit to Valley of Flowers. Please suggest me. if yes, tell me what is prevention. Are the paths narrow? Is it advisable for an acrophobic person? Except for few meters it is generally ok.
Hi, I’m planning to visit vof in mid August 16. But along with my 6 years son and 1.5 years daughter. We will come from Ludhiana. Please suggest is that will be ok to take kids along. Even send me the itinerary for this. We have mailed you a detailed itinerary. Please check. You can see them, we can arrange some close look ups, it would be better that we go in October when the season is over. You can see Bear in Ghangaria itself. I want to visit Valley of Flowers. I have booked tickets from 28th April to 2nd May for Rishikesh, Auli and Gangharia. Can you please set an itinerary for it? Hey i saw all the pictures and i am totally interested im visiting this place..im july i guess.this is the first time i would go on a trek so basically i am totally new to the idea and know absolutely nothing about it.do u guys take care of the whole trip..where does it start.how do i proceed.also i wanted detailed list of things i need to know.the charges and everything. A detailed itinerary has been mailed to you, we do take care of your trip from Haridwar onward. All the details has been mailed to you. Thank you fore sharing very useful information. Can you help me to answer a question? Is it possible to visit Valley of Flower at the time of “December-January”? I only stay in India at this time, so it’s quite a limitation for me to visit this place. But I really love to see the valley! Valley of Flowers opens from June to September every year. You cant visit it in December and January as at that time it remains closed and snow clad. Can it be visited during the first/second week of April this year? TIA. Valley of Flowers opens and accessible from 1st week of June only. It will be open till 4th October. In the month of April the area is snow clad. I stay in Delhi. Can you send me the trekking detail , no. of days, costs , recommended clothing etc. My name is Manisha Singh from Delhi. Please share the same details to me as well. I am vikas, from Bangalore. Could you please help me how can I reach Valley of Flowers from here and expected expenses. Thanks for such detailed info on Valley of Flowers. We are a group of four intending to visit the Valley of Flowers during the 3rd-4th week of September. Would the valley stilll be picturesque with flowers or will we get to see only shrubs and decaying plants? Please advice. Our plans are more or less made. A detailed itinerary has been sent to you from 13 Sept – 19th Sept. You will be able to see the flowers in Hemkund Sahib as well. The flowers in the valley are to full bloom only till September end, so I suggest you adjust the timing somewhere during mid September. Hi, i would like to visit the Valley of Flowers to see the beautiful valleys, greenery, flowers and little bit of glacier if possible. Would like to visit from 4th September to 10th September. Is it a good time or should i wait for the next year? Please guide. It will be good time to visit as sky will be clear and rains will be less. Lesser chances of landslides as well. A detailed itinerary has been sent to you. Is it a good time to go for valley in september. Definitely it will be a good time as sky will be clear and you will be able to see a lot of flowers. Please provide me all type of details of vof. Monsoon season is going on so rains will be there in Mid August but it will be a good time to go as you will be able to see full bloom at this time. You can definitely go the routes are open as per now. Hello Sir, I am planning for Valley of Flowers bw 21st to 26th August 2015 i.e next week.We have 5 days in total and two night travels for to and fro. Can u let us know how to plan the trip. Like,can u send us an itinery. That wud be grateful indeed! Is it advisable to do Char Dham Yatra and trip to Valley of Flowers together? If yes then preferably in which month? I am 57 years old and my wife 56 years. Char Dham Yatra and trip to Valley of Flowers is not recommended together as Valley of Flowers trek is of 7 days itself and doing char dham yatra after that will be very tiring for anyone. We are planning for Auli, Valley of Flowers and Hemkund Sahib in the last week of June but want to enjoy full bloom as well. Is it possible to enjoy the bloom during the month of June. Also would appreciate if you can share the package cost. As you asked about the full bloom so in the last week of June there will glaciers as well as flowers but the quantity of flowers will not that much that you will be able to find around July mid. Even you will be able to find some rare flowers in the last week of June which you will not be able to see after mid of July. So the trip at this time will be worthy to go. A detailed itinerary for 28th June, 2015 has been sent to you kindly check. You really have thorough knowledge & I think you can best guide us. We are planning for Valley of Flowers trek this August 17-24 – Batch 7. I am so impressed with the pictures uploaded & want to visit only if the valley is full of flowers as shown in some photogrphs. If not, then I can plan some other time when the flowers are fully bloomed. Can u suggest the best time to go for that unique view.. also, send me detailed itinerary. I am very sorry for delayed reply but the valley was not open in October and I was on trek so no internet connectivity. Yes August 3rd Week is a good time, you will see beautiful flowers at Hemund Sahib also. We are planning to go to Valley of Flowers in Aug 20 (from Delhi). We have only 4 days (21, 22, 23 &24). 25th of Aug we has to be in Delhi (Morning). Is it possible to cover only Valley of Flowers? we are not planning for Hemkund Sahib. FYI – we are a group of 6 gents. Your quick response is much appreciated. In four days Valley of Flowers trip is not possible. You need atleast 6 Days to 7 Days for the Valley of Flowers trip. We are 4 people want to visit Valley of Flowers on 14th Aug till 18Th Aug please suggest for the same is it worth to see the valley in rainy season and especially in Aug.
Also as we are budgeted travelers so please suggest on same grounds. Hi…a detailed itinerary with cost has been sent to you. Somebody told me that this year Valley of Flowers tour is not possible as some bridge was washed away. is it true ? I think you are the right person to tell me regarding this. Will there be enough flowers on the 3rd week of august ? Is ti safe to go this season. Does monsoon create any obstacle of some kind. Hi. I enjoyed ur description. I want to visit VoF and Hemkund this July 1st week. 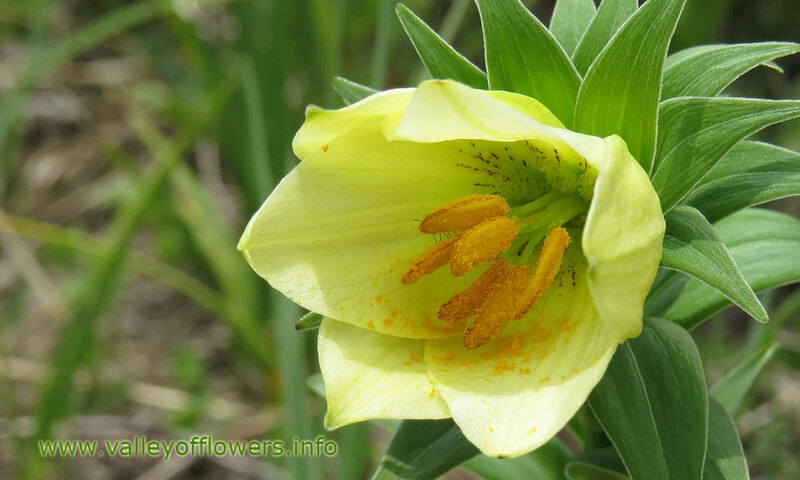 i wanted to ask few questions… During the 1st week can i find varieties of flower blooming? As monsoon season lies b/w july to august, is it safe to go at such a time? please send the itinerary and the budget. hi, me & few friends(3) would like to trek in the Valley of Flowers during 1st/2nd week of august 2014. kindly tells us details like cost, do’s & dont’s, stay, itinerary etc. Detailed itinerary has been mailed to you. Hi,I am tanoy.I have seen your elaborate description about Valley of Flowers treaking.It is very nice.But, the budget is based on 2006.Can uou please send the present tarrier rate!please give your mobile no and email to contuct you. You can contact me at +91 9991142759 any time. TO know the budget please fill in form on our website we will send you detailed itinerary with cost and other terms and conditions. I would like to go Valley of Flowers in the month of october14 first week. is it possible? plz. reply me as early as possible. Valley of Flowers will be open till 4th October. Me and a few friends are planing to trek to the Valley of Flowers second week of Aug.
Can you please let us know of the details itinerary and cost. Detailed itinerary and other important instructions have been mailed to you, please check the mail, If possible please call me or provide your phone numbers so that we can discuss the things in detail. 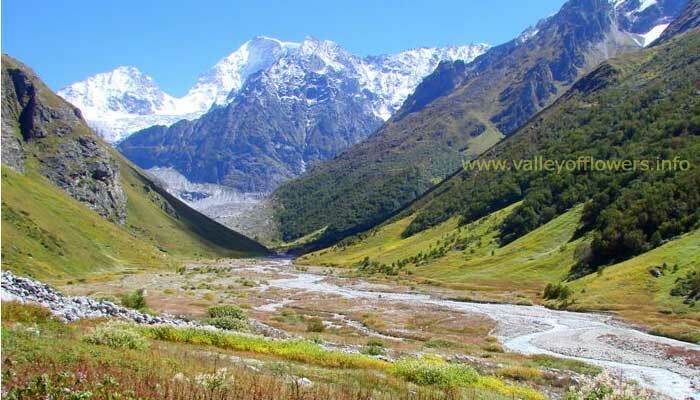 Need info on Valley of Flowers trek during the month of July’ 2014. Can you mail me the detailed itinerary. We are planning for 4-5 days there. A detailed Itinerary has been sent to you on your mail. Please send us your phone number or call me so that we can discuss the things in detail. I am looking at a trek starting around the 12th of July for two people. Could you please give me a rough itinerary and an estimated budget as well. Thanks! I am Swapna Ray, a Bengali Travel writer in Kolkata. I want to go Valley of Flowers and Hemkund during the month of August’ 14. Please reply now everything has been arranged there or not to stay? Please revert per return mail whether I can go this year to the places safely or not. Thanks for commenting. This year it is safe to go to the valley. I have sent a detailed itinerary with cost and other terms to you. Thank you for the good site u r maintaining. Its helpful. hi.. we are planning for vof in the first week of aug’14. is there any place to stay overnight at govindghat at present? Most of the hotels at Govindghat were washed off in 2013 floods, but few of them are still available 4-5 in number. I will recommend you to book a stay at Joshimath. Is it possible to visit Valley of Flowers in October- November ? 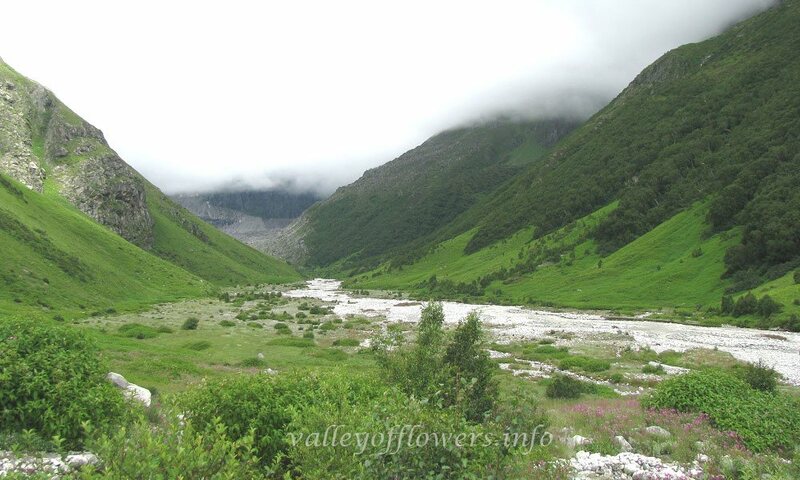 Valley of Flowers opens on 1st June and closes on 4th October every year. You can visit only during this time. i m confused about the best season for vof.as i dont like rain at all times on trek also i want to see large no of flowers and snow peaks at the same time with mild sunlight and clouds. and i would also like to know is there any roopkund details. You need to many times to the Valley of Flowers to see everything you want to see. do you have any current picture? Valley of Flowers is not accessible till date as a bridge is to be built over Pushpawati River but their is no damage to flowers as a part of Valley of Flowers is visible from route to Hemkund Sahib. The river has widened its bed and there is not harm to flowers as they bloom as much higher point. There is no latest picture of Valley of Flowers with me as it is not yet accessible and no one has entered the valley after the disaster. Current situation of Valley of Flowers? This year Valley of Flowers trek may not be possible. Kindly read latest news on Valley of Flowers post. Please follow the blog for latest information about Valley of Flowers. HI is it advisable to carry children (aged 6 and 7.5 years) to Valley of Flowers trek? Cud height might be a problem? Please read weather kids can be taken to Valley of Flowers post for more information. I am planning to visit Valley of Flowers with my wife during the last week of August, more precisely 26th – 27th of August. Could you please guide me the best possible way from Haridwar to Govindghat and then to Ghangaria ? please provide me the point of boarding, point of drop and charges(most imp) for buses , private cars, shared cabs etc. Public Transport from Haridwar to Govindgaht is in a very bad shape. It takes almost 10-12 hours by road from Haridwar to Govindghar when you are going by your own vehicle. You can imagine the time you will require when you use a public transport. Moreover, doing such a long journey by shared cab or a public transport is very troublesome and tiring. However shared taxis are available from Rishikesh Gurudwara and they charge approx 500-600 rupees per person for dropping you at Govindghat. We also have a fixed departure starting on 25th August, 2013 you can join that. To know the cost and other details kindly fill in the contact form on the right side bar and you will receive an instant mail from us. Do you trips to Valley of Flowers in the middle of June 2013? Can one visit the valley in June? Why don’t you have trips before june 30? How much do you trips cost per person from Rishikesh? We do not organize trips to Valley of Flowers in June. We have already written in this post about the reasons. Although if someone wants to go to Valley of Flowers in June we can make arrangements for that but I will not personally accompany any such customized group. I always accompany all my fix departure groups at least the day we go to Valley of Flowers. To know about the cost and itinerary kindly fill in your details on the right side contact us form and you will be instantly receiving a system generated mail about the cost, itinerary and other terms and conditions of the trip. I am sure after reading that mail you will be left with very few questions. You can call me at +91 9991142759 for any help. We have been planning to go to the Valley of Flowers for a while. Had thought about the last week of July; but I just found out that my exams are in the first week of August. We really want to catch a glimpse of the flowers in full bloom. Would mid-August be a good idea? Your post is very interesting! Perfect source of information! Thanks for your compliment. When will your exams over. If you could make it for 11th August trip it would be great. Mid august is a good idea to visit Valley of Flowers. I’m not certain, will only find out the exact dates next week. Tentatively, there will be a group of about 9-10 of us. I also wanted to know if Valley of Flowers will be very crowded at that time? Thanks for contacting. You did not tell me your dates, but Valley of Flowers is generally not much crowded and in peak time generally 200-300 people visit Valley of Flowers everyday. This data is collected by me in 2012 from forest department officials at the entry gate of Valley of Flowers. If you want a package from my side and want me to accompany your group kindly fill in your details on contact us page. Do not worry about departure dates as they can be changed on later date. You will get a mail instantly showing detailed itinerary and other terms and conditions of the tour to Valley of Flowers. 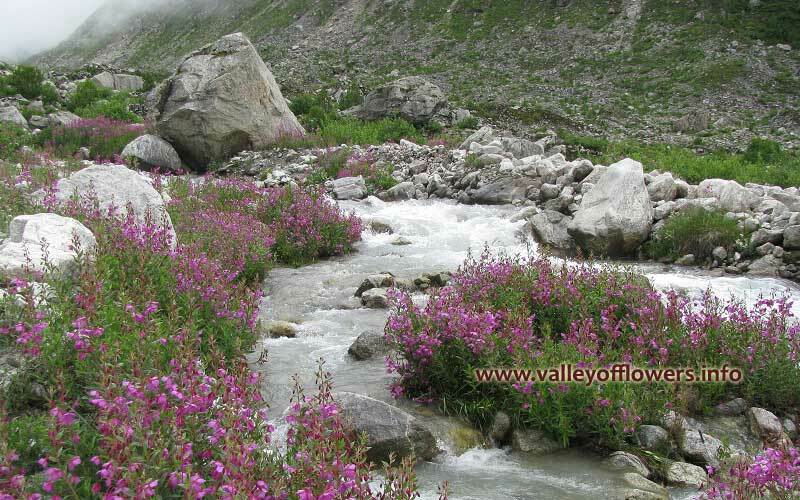 We are planning to visit Valley of Flowers in the first fortnight of July, 2013. Wanted to know, if we come there by ourselves, would staying at Ghangaria would be a problem? I yes, what should we supposed to do as there will girls in our group, so proper safety and security at night is our top most priority. Kindly suggest. Hello Raman, Going by your self means What, How will you be going by your own vehicle or public transport or hired vehicle. Public transport is pathetic and not recommended at all. Also taking your own vehicle is not recommended as driving will be too tiring and long (10-12 hours). The last option is going by a hired vehicle. Ghangaria has some small hotels and most of them are not professionally managed. But some of them are good. I will recommend you to be part of my group. I will be personally accompanying the group. I have two departures during first half of July, 2013. And cost is also reasonable. I will pick you up from Haridwar and drop you back at Haridwar. To download the itinerary and know other details about the trip like cost and other terms and conditions kindly fill in your details on any of the contact us form on each page of this website. You will get a mail instantly. I will personally call you. Or you can call me at +91 9991142759 at any time. Your first priority is to see Valley of Flowers fully and with me you can be assured that you will not miss anything which is worth seeing. We are planning to go to Gobindghat in our bolero from Chandigarh with 1-2 stops in between, so driving won’t be a problem. From there, we are thinking to trek to Valley of Flowers as that’s the last spot to take your vehicle. If you think, it would not be a problem to go ahead with this plan, please let me know. Else, I’ll contact you for details. It is ok, but please hire a driver and do not think of driving of your own as after doing trekking it will be too tiring to drive for one full day. You may contact me for any further questions. Hi Devkant. We want to visit the Valley of Flowers this year. However, we will have just 1 week for this trip. We also have a restiction that we can travel only during the 15th to 30th of any month. Which will be the best month to visit? May, June or July? Is it worth it to do a trip for this short a time? Hello, The best month among the choices you made will be July. One week time is enough but you forgot to mention from where you are coming. You need at least 6 days from Haridwar. You may wrap up the trip early if you are lucky but can not be planned in advance. For example if you are lucky and weather is clear you may save a day or two if you get Helicopter from Govindghat to Ghangaria. But I will recommend you to have at least seven days from Haridwar to Valley of Flowers and back, as you may get struck due to weather and landslides, Its rare but may happen. You may also opt for our fixed departures to Valley of Flowers and I will be personally accompanying the groups. To know the fixed departures and download Itinerary kindly visit our Valley of Flowers tour package page. The valley will be in full bloom between 4-10 August. One is generally ok for Valley of Flowers. But, my recommendation is that you keep two days from Valley of Flowers as you need a day for macro photography of flowers and other day you can go deep into Valley of Flowers. We also organize trekking tours to Valley of Flowers. I accompany my groups to Valley of Flowers. We also have a fixed departure on 4th August. To know other fixed departures click here. The fixed departures are already announced. Sahib and they want me too join with them. I am 52 years old, female, work out 4 times a week. Low blood sugar level problem. and has asthma too. Please advise should I go visit hamkunth or not. Hi, I am planning to go to VALLEY OF FLOWERS around 2ND WEEK OF OCTOBER(10TH-116TH) 2012. Is it possible?? Or shall the Valley of Flowers will be closed? What about Hemkund ?? we have 3 days off which are 30th sept,1st oct,2nd oct and we are planning trip to Valley of Flowers.we decided to leave on 29 th night by bus to Haridwar..by 6 am we will reach to Haridwar than we will take bus or taxi to Govindghat. I want to know is till what time we will reach to Govindghat on 30th sept if we take bus. Than how we proceed our trip to Valley of Flowers if we want to come back to Delhi on 2nd oct night? Hello Radhika Savani Dutt, It will be almost impossible to do a trip to Valley of Flowers in three days from Delhi. You need one full day each for reaching Govindghat and back from Haridwar. The road Journey is of at least 10-11 hours. You are left with only one day and you need to reach Ghangaria from Govindghat and back from Ghangaria to Govindghat. I feel you are at least two days short. You have only choice left, you may use helicopter between Govindghat and Ghangaria. moreover the road journey is too tiring. You need at least 6 days in you really want to do this trip. If you still have any question left you are most welcome to talk to me at +91 9991142759. Thank you Devkant. I think we shift date to next year..as per you there will no more flowers to see in this season. But i want to know if we plan out trip to Valley of Flowers next year which is the best time to see Valley of Flowers with full of flowers…? Most welcome Radhika ji. The best time would be last week of July. I will have a fixed departure on 28th July 2012 from Haridwar. You may join my group. I would be going with the group. we are two person one is me and other is my wife..and we have a plan to visit Valley of Flowers between 2 October to 8 October by our small car ALTO..plz advice me..is it right time to visit Valley of Flowers..?we are passionate for Himalayas and Uttrakhand . We are from New Delhi..
Dear friend, Alto is a very good car but not for Himalayas. First recommendation leave your car in Haridwar or Rishikesh. Last entry to Valley of Flowers will be on 4th October. I feel you need to know a lot, kindly talk to me for your benefit. Feel free. This is not a cake walk. Moreover there will be no to a few flowers. God lives there. 29th Sep: Take cab to Ghangaria & stay there. Catch night train to delhi. What is your view on the same ? Possible ? Will I see flowers there ?? I am extremely keen to travel. BTW : travelling with my wife & 9 1/2 yrs daughter. should not be a problem I guess ?? Kindly advice. Great pics. Dear Sangwan I want to visit Valley of Flowers next year ie 2013, what will cost me if i join your group. Pl mail me. I M 40 years. it was a pleasure reading all info as we are planning to go to vof next month end. we are leaving bombay on 29th sept. i just wanted to know whether we will see flowers or not and whether it will rain at that time or not. As i love doing macro photography of flowers it will be difficult to manage a camera if it rains suddenly. There is no trolly from Auli to Valley of Flowers. But the trolly service is from Joshimath to Auli only. Presently this service is suspended for about year and half for want of change of cables. Reaching Valley of Flowers can only be done from Ghangaria and by trek only. However you have following options. Govindghat to Ghangaria- Trek,Pony, Porter, Palki or Helicopter. But flying of helicopter depends highly on weather. Ghangaria to Govindghat- Trek, Porter or Palki only. Ghangaria to Hemkund Shahib -Trek, Porter, Pony or Palki. As far as these pictures are concerned they do not actually explain the real beauty of Valley of Flowers (In fact no picture can explain). Actual experience is far far more beautiful. If we have to visit Valley of Flowers along with Hemkund Sahib then what according to you should be the Best Time ? Its mentioned that it is always beautiful but if you have to suggest one date to visit then what should it be ? According to me the best date will be last week of July. Still I will keep my options open. Valley of Flowers is really always beautiful. I have been to Valley of Flowers in almost all seasons. I opted for above mentioned date as flowers are maximum in number during this season. in july i hv completed my holly kailash mansarovar parikrama……Its my desire to go 2 Valley of Flowers , hemkund sahib & gomukh…..how to make d plan….whether u arrange for d trekking……. thanks, Yes I do organize trekking tours to Valley of Flowers. i want to go to the Valley of Flowers, hemkund sahib & gomukh . whether all these are in one package ? whether you operate for these tours ? Yes I do organize trekking tours to Valley of Flowers. Gomukh is not in the package. Valley of Flowers, Hemkund Sahib and Badrinath is covered in the package. I wish to go to the Valley of Flowers on 7th-14 sept but reading your blog has made me rethink this. I am an avid photographer and wish to click flowers esp in the macro mode. Do you recommend post poning my trip to next year july? or should I try my luck this year in sept? Very nice blog. I am benefited. i would like to take my parents for a trek next year. they are 62 and 67. they are physically fit. they can walk the distance also. is it possible for them to visit Valley of Flowers? Yes, they can visit Valley of Flowers. They may use ponies/porters instead of trekking from Govindghat to Ghangaria. And porters can even be used in Valley of Flowers. Kindly talk to me for any further questions. For those who are older but want to take maximum benefit of Valley of Flowers and Hemkunt Sahib, but want to avoid difficult uphill climb of 13 km grom Givnd Ghat to Gangariya, a helicopter service (Rs. 3500 one way)is available. One may take helicopter both ways or walk down the easier downhill, thus also having the satisfaction of seeing every thing and take photographs of nature and wild life. Thanks Dr. Gurcharan Singh. But since the main season for Valley of Flowers is From July to September and the same is the time for rainy season. It is not advisable to count on Helicopter while planning. Of course it is a bonus for older people of at all Helicopter flies that particular day. I will advise to take a pony in case Helicopter does not flies the day of your Journey. If you are lucky to reach Ghangaria by Helicopter I advise you to finish first two to three kilometers on the same day from Ghangaria, so that you have enough time to explore the deeper parts of the Valley of Flowers. We also organize trekking tours to Valley of Flowers, Kindly contact us to book a seat with us. I will be accompanying you with the group. hiii…how many days it will take for the trip to Valley of Flowers from Delhi. Is july end the best time to visit? my uncle is 80 yrs old but fit & he is interested 2 Valley of Flowers . is it possible 4 him 2 go? i hv also little bit breathing prob,can i go? Kindly consult your doctor about this. Valley of Flowers is at a height of 11000 feet (upper range,where we will be going). You can hire porters instead of trekking down to Valley of Flowers. I am 44. can i do Valley of Flowers Trek ? I heard that it is very difficult from govind ghat to ghangaria. & Gangharia to Hemkund is it so ? I am not a trekker but I do Morning walk every day for half an our. please guide me. Seema, as you morning walk daily i feel will able to track from Gobindghat to Hemkund. Horses are also available of you find it difficult. Best time to visit will be from august mid to september end. Gobind ghat is at height of around 5800 feet and Valley of Flowers is at around 11500. So you will gain height of 4700 m in 17 km trek. Nature gives you energy when you trek through such beautiful mountains. Please confirm if we would need any permission(govt) to trek in Valley of Flowers. We are planning a visit around 20th Aug.
We are also not sure about the intensity of the rainfall-would an umbrella work or a raincoat is better? You do not need any permission till date from govt. but I according to my knowledge you may need it in future (from next season). All you need to do is to go to Ghangaria village and then to Valley of Flowers entry point and purchase entry ticket from forest department. It would cost only Rs. 150 per person for Indians and Rs. 450 per person for foreigners. It rains frequently in Valley of Flowers and weather changes very rapidly so according to me umbrella is a better choice as its very handy as compared to rain coat. But if you are comfortable in taking out and putting back the raincoat into your bag you may take raincoat. Moreover in raincoat your backpack may not be accommodated. So according to me umbrella is a batter choice. considering the weather forecast of this year and much taled about delay in the arrival of monsoon in india what will be the better time to visit the valley of flowers this year end of july(30th and 31st,or after 17th of august coz dat is d only time i can manage some vaccations for me tour!please oblige!and also with accomodation at ghangharia i am a bit confused as the gmvnl is alrady full! Valley of Flowers is always beautiful, but according to me out of the two options you have, the first one is better as after 15th August the flower/plants are on their later stage of life and by 30th august the Valley of Flowers will change its color to peach. Moreover during July end the Valley of Flowers will be in full bloom and will be at its peak beauty. Also I have a fixed departure from Delhi on 28th July, if you wish you can contact me for more details of the tour. I will personally accompany the group. Its my hobby to take people to Valley of Flowers, the true wonder of nature. I always accompany my groups to Valley of Flowers. This year my fixed departures from rishikesh are 9th July, 29th July and 10th October 2012. If you want to accompany me to Valley of Flowers in any of the groups kindly contact me by filling up your contact details on contact us form. Only three fields viz. name, phone number and email id are to be filled. It will take only 30 seconds. This year we have ten fixed departures to Valley of Flowers and out of this in two fixed departures we will be going to Valley of Flowers for two days. Kindly visit our fixed departures page for more details and download detailed itinerary. Please call me at +91 9991142759 any time. Following are the fixed departures for 2013. We are a group of friends and want to visit Valley of Flowers in October this year. We will reach Haridwar on the morning of 22nd October, 2012 and make our journey from there to Valley of Flowers. Please give us all necessary information and advice to help us in making our trip. Valley of Flowers opens only for four months in a year and rest of the time it is snow clad. And moreover officially also no one is allowed to enter Valley of Flowers apart from these four months i.e. from June to September end. So you will not be allowed to enter Valley of Flowers in October last. 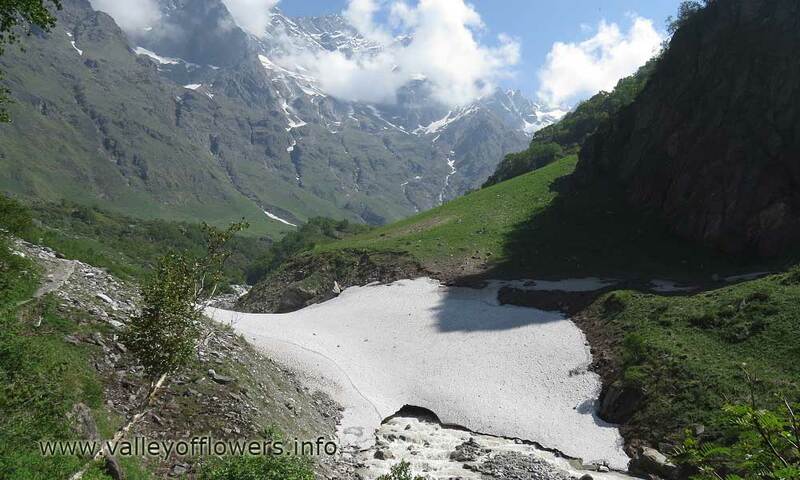 Also one may not have access to Valley of Flowers as it will snow clad throughout. To visit Valley of Flowers kindly read the above article carefully. We are planning to visit Valley of Flowers on 12th September 2012: GOVINDGHAT – GHANGHARIA and 13th of September 2012: GHANGHARIA – VALLEY OF FLOWERS – GHANGHARIA. Would we be able to see some flowers at least during this time? How would be the weather as we would be traveling with a 2 yr old son? Would valley be beautiful then?? Would we get to see some nice flora and fauna then?? Is the grass height too tall and we find snakes at this time?? Do we get a guide? Lilium oxypetalum is bulbous herb of 30 - 50 cm height. Leaves are often crowded at top. 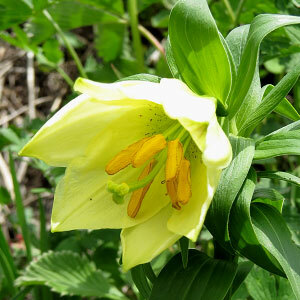 Flowers are funnel shaped and pale yellow or can be cream colored.